GRAIL! 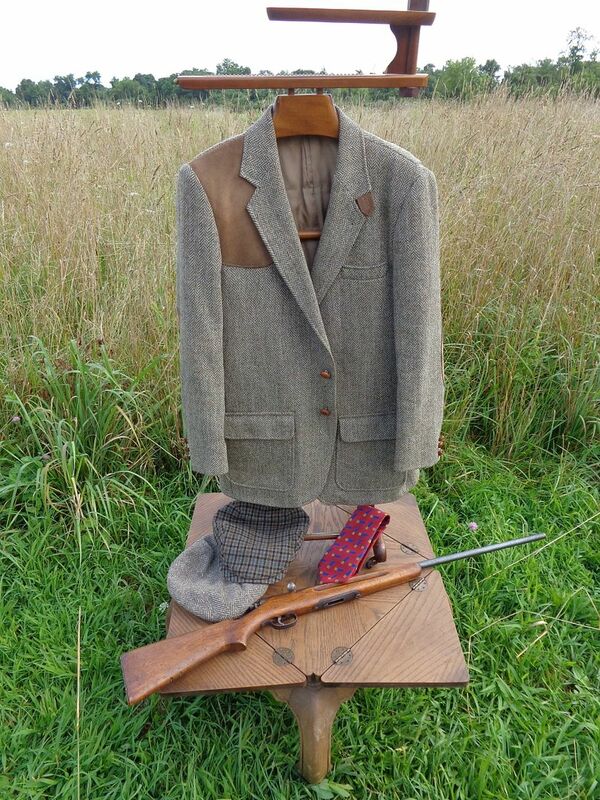 Harris Tweed Half-belt Shooting Jacket. c. 42L. GRAIL! 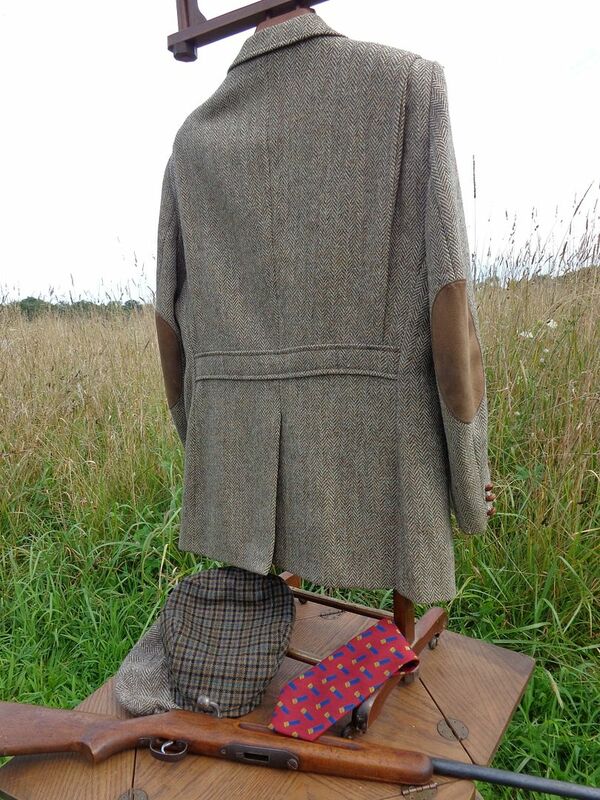 Harris Tweed Half-belt Shooting Jacket. This is absolutely gorgeous! Made in Yorkshire from traditional heavyweight Harris tweed in what at first appears to be a classic brown herringbone, but, on close inspection, can be seen to be a beautiful herringbone where the brown is flecked throughout with forest greens, old gold, and brackens. This was made by Christopher Dawes Country Clothing, a very traditional English maker that specialized in traditional English country clothing of uncompromising quality. (They used to supply both Cordings and Harrods with tweeds!) Unfortunately, Dawes closed in 1998, but their work can still be found two going strong two decades later--a testament to their dedication to making serious, long-lasting clothing for use in the field. 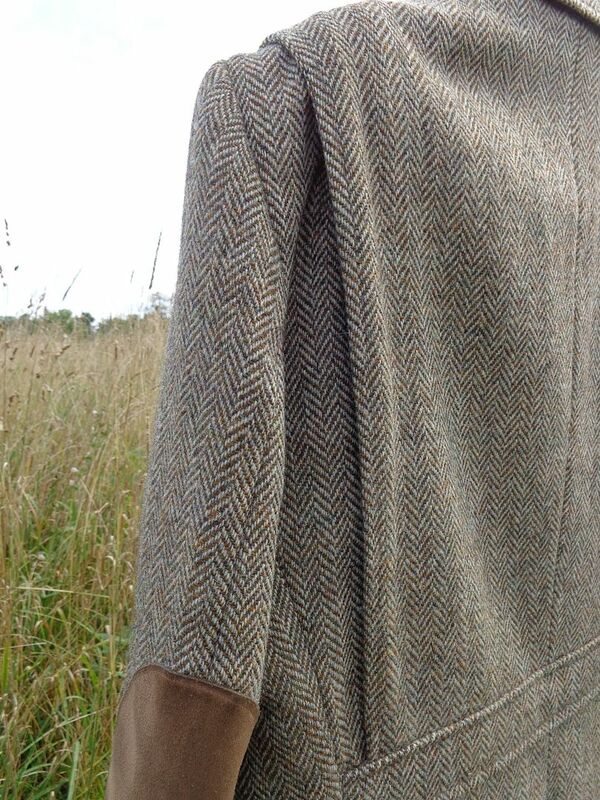 Cut from heavyweight Harris tweed this is an utterly traditional English Half-belt Shooting Jacket. Designed for both longevity and ease of movement this features suede leather elbow patches and a suede leather shooting patch on the right shoulder. It has a traditional bi-swing back for ease of movement when tracking birds in flight with your gun, and two deep flapped bellows pockets on the front. The front breast pocket is designed for ease of access, and all of the pockets feature lapped seams. This has a fully functional throat latch--again, with a suede leather outer tab--and has a single center vent. All of the buttons are traditional leather-wrapped, metal-shanked football buttons; it has three button cuffs. This is fully canvassed and fully lined. It is in excellent condition, except that it has some minor sag on the edges of the interior pockets, and it has has a small professional re-weave on the inside tweed; this is almost unnoticeable and in any case cannot be seen when worn. Please note that this is made from traditional-weight Harris Tweed, and so could easily be worn as outerwear! Asking just $95, OR OFFER, boxed, shipped, and insured in the USA.